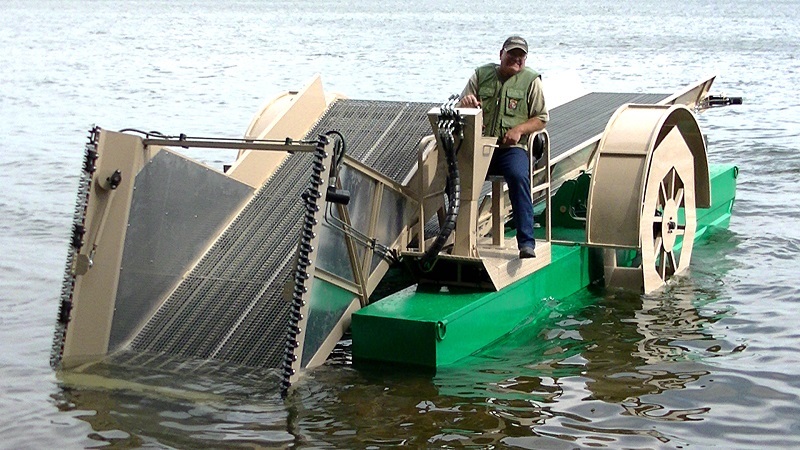 Shop and compare our line of unique Harvesting Machines. Get detailed information and watch video sof our harvesters in action. If you have questions or would like more information please give us a call and we will help determine which harvester will best meet your individual needs. harvesting machine and the only harvester of its kind that pulls the weeds from their roots instead of cutting them. 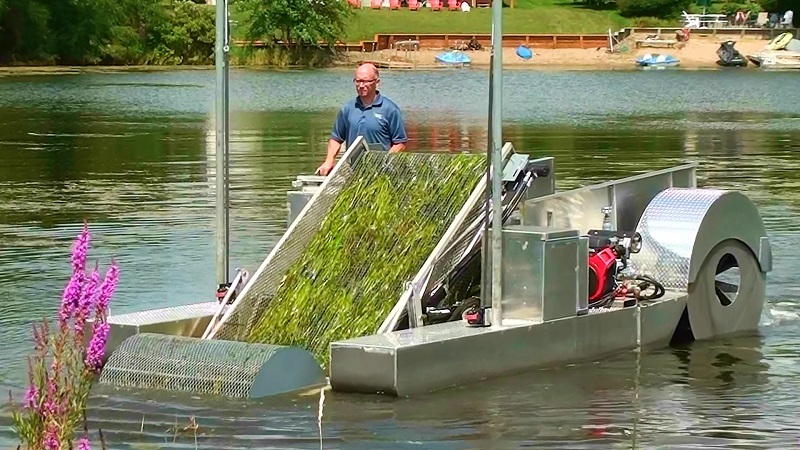 The Eco-Cutter is unique because it cuts and collects submersed vegetation as well as emergent vegetation.